The Angels from Heaven received a dearly loved Mother and Best friend. Doris L. Roe 87, of Sidney passed away Thursday October 27th, 2016 at 10:46 p.m. at Kindred Hospital in Dayton. She was born on April 26th 1929 in Damascus, Virginia to the late John Berry Gentry and Lydia Elizabeth Maddy Jane (Richardson) Gentry. On March 14th 1950 she married Carl James Roe of Saltville VA, who preceded her in death. She retired form Copeland Corporation (Emerson Climate) as an inspector after 25 years of service. Our Pretty Mamma is survived by three daughters and one son. Deborah (Jim) Phelps, Violet (Roe) Harris, Barbara (Roe) Finfrock, and Randall L. Roe, all of Sidney. She is also survived by one brother B.C (Janice) Gentry of Chilhowie VA.
She is also survived by four grandsons and one granddaughter. Chad Tipps, wife Angela, Brandon Tipps, special companion Stacy Crawford all of Piqua. Terry Harris, wife Anne of Columbus, Justin (J) Harris of Cincinnati, and Sarah Finfrock of Sidney. She is also survived by eleven great grandchildren and numerous nieces and nephews. Preceding her in death besides her parents were her late husband Carl J. Roe, two brothers Edgar, John, and six sisters Rosalie, Mae, Virginia, Pauline, Irene, and Nancy all of Virginia. The two most special were her son Nelson J. Roe, and grandson Matthew M. Finfrock both of Sidney. 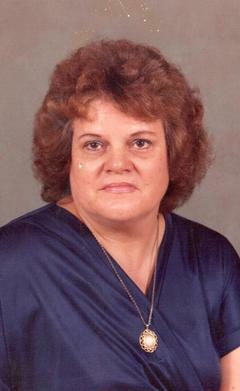 Our Mother was best known as “Pretty Mamma” and truly a best friend to all of us. She enjoyed riding her bike, walking, reading her Bible where she could recite scriptures at any given moment. She was truly a good Christian and was always strong in her Baptist faith. Her favorite TV show was watching Wheel of Fortune. She enjoyed playing Bingo, doing word search puzzles, and crocheting. She was definitely an avid shopper always looking for the best bargains. She could stretch a dollar better than anyone we knew. Most of all she loved spending time with all her family and especially her great grandchildren and grandchildren. Our pretty Mamma and best friend had a very kind heart and never had a bad thing to say about anyone. She always told us” there is always good in everyone”. She had beautiful smile that would melt our hearts. In her later years she was known as the lady with ten lives, she was the strongest person we knew and a fighter. Our “pretty Mamma” will be dearly missed by all of her family and those that knew her. May you rest in peace and find comfort in your family, and your savior Jesus Christ, who welcomed you with open arms. He finally called you home. You are gone from this earthly place, but will live in our hearts forever. Remember “Pretty Mamma” I will still continue to ask you, Are you my pretty Mamma? Are you my best friend? You would respond with that beautiful smile that would melt my heart, and I will truly miss it. I will continue singing to you our song we sang for the past ten years. We would like to extend a special thanks to Dr. Vyas and Dr. Rubio for all you did for our Mother, listening to us and always doing what we asked. We will see you again someday and will be waiting to see that beautiful smile.